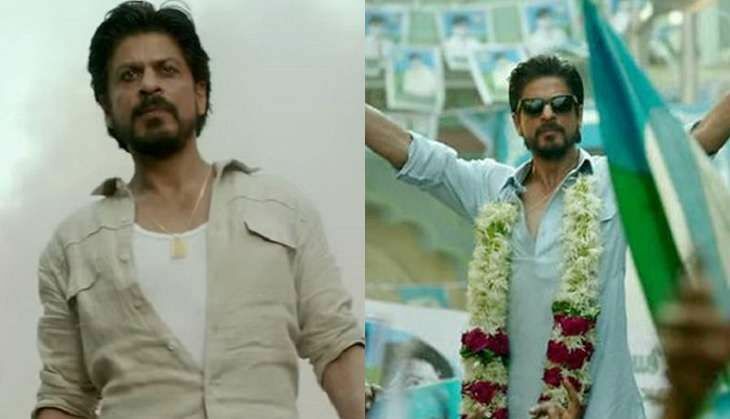 Looks like trouble is not yet over for Shah Rukh Khan and Raees, as after making a settlement with Maharashtra Navnirman Sena's chief Raj Thackeray, last week by allegedly promising that his Pakistani heroine Mahira Khan will not come in India to promote the film, now Shia community has asked the makers to delete one of the scenes in the film. According to reports, members of Shia community from Bareilly, Uttar Pradesh have come across a scene from the film's trailer where Shah Rukh is seen jumping over a religious structure (Alam) during a chase scene. They have written a letter to the Central Board of Film Certification (CBFC) and requested them to remove this particular sequence. They have also threatened to boycott the film and are going to approach District Administration to ban the video. It is said that another unit of the community from Lucknow has also objected to the scene and has filed a petition in Delhi.
) during a chase scene. They have written a letter to the Central Board of Film Certification (CBFC) and requested them to remove this particular sequence. They have also threatened to boycott the film and are going to approach District Administration to ban the video.